b.j. spoke gallery was founded with the belief that a partnership between artist and public is an essential relationship. The gallery provides the opportunity for artists to experience responses to their work, a product of the inner process, and for the public to increase its aesthetic awareness in deciphering of the artist’s intent through contemplation and dialogue. To further understanding in the arts, there are exhibits of members’ work, yearly invitational shows, exchange exhibits with other galleries, an annual national juried art competition along with gallery talks, panel discussions, workshops, and art demonstrations. 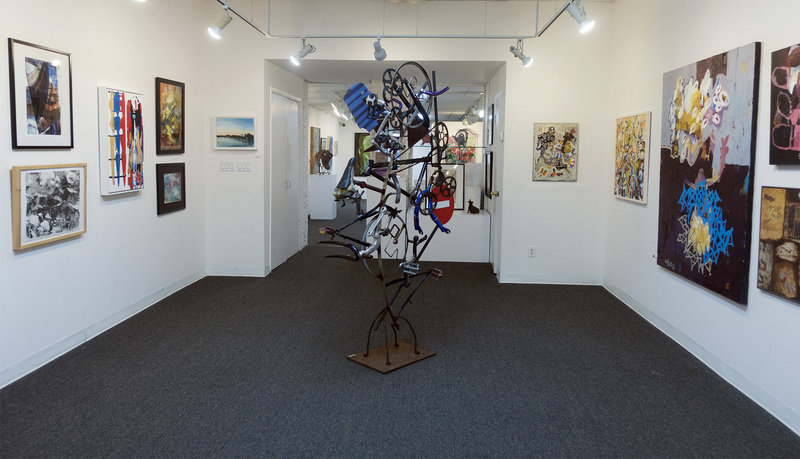 In an effort to bring the under-served artist to the attention of the Long Island community, the gallery maintains an outreach program to individuals such as young emerging artists. Use of gallery space is extended for benefits, lectures, readings and exhibits by not-for-profit groups whose mission reflects the objectives of the gallery.